A richly proportioned classic style featuring bold frame and panel construction flanking a delicately arched raised panel apron. A special feature is an optional secret compartment concealed by a moving panel in the leg portion for storing your treasures. 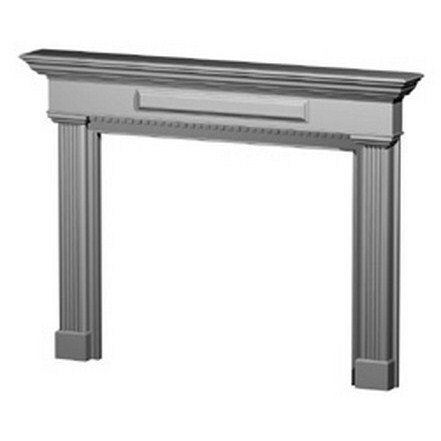 Depth of mantel shelf: 8"
Offset for facing material: 7/8"